If you’ve decided to upgrade your existing mattress to a newer and nicer option, you might be looking for a luxury mattress. Luxury mattresses are a great way to get a good night’s sleep. Plus, they are often equipped with the best features. You might feel like you’re at a point in your life where you should treat yourself to a better place to sleep. Maybe you just want to try out a higher end mattress. Whatever your reason might be, there are plenty of luxury mattresses for sale. In general, you should do your research on big ticket items. You don’t want to walk into a store and buy the first luxury mattress you see because you’ll be missing out on so many other great options! 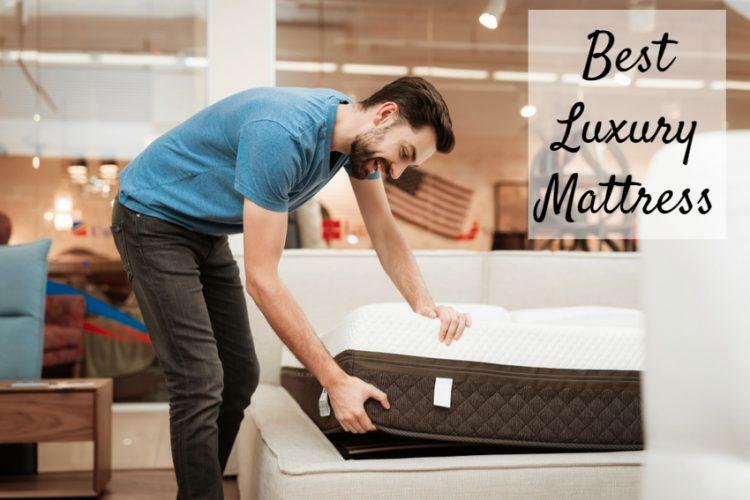 We have come up with a handful of considerations that you should be keeping in mind when you begin searching for a luxury mattress. These are important to remember so that you can make sure you know exactly what you want. Additionally, we have rounded up five of the best luxury mattresses on the market. We have reviewed each of them so that you know everything you need to know about your options. Let’s get into the necessary factors to consider and then take a look at the amazing luxury mattresses available! What Should I Consider When Shopping for a Luxury Mattress? When you begin shopping for any major item, you should know what you want to keep an eye out for. The same goes for luxury mattresses. There are certain considerations that you should make and some factors that are very important. As you take a look at the considerations, figure out which ones are the most important to you. These are all based on your own personal preferences so that you can make the best decision for your sleep. This will help you to decide what to focus on when it comes time to buy a luxury mattress! Price is definitely important with any purchase you will make. Mattresses can be pretty expensive as they are, and luxury ones are even pricier. It’s a good idea to look around to get an estimate of how much a luxury mattress will cost you. From that price point, you can budget accordingly. Work with your partner, if you have one, to decide what is reasonable based on your income. A great way to save money on a mattress is by shopping online. You can compare prices easily and watch for sales and discount codes. Of course, if this is a more urgent purchase you might not have these opportunities. You might think that all luxury mattresses are durable, but this isn’t always the case. Just because you’re paying more for something doesn’t mean it’s higher quality. Before you make a purchase, you should look at reviews from people who have had the mattress for a couple of years. If they still love it and don’t have any complaints, it’s probably a good choice! Durability might be less important to you if you are using the mattress less frequently, such as in a guest bedroom. Still, you want to make sure that you are getting a good quality mattress that will last for more than a few years! Many mattresses come with warranties. These offer extra protection in case anything would happen to your mattress. The way that warranties work varies by the company. Warranties can be different durations of time. Some cover almost any damage and others are very limited. When you’re buying a luxury mattress, you might want to look for one with a good warranty. This will give you a peace of mind since you probably just spent a lot of money on the mattress. Some people don’t really care for warranties and would rather just replace the mattress on their own. This works too, but it can get costly to replace your mattress without the company’s help. If you have the money or are purchasing one of the most affordable luxury mattress options, this might work for you too. Thickness is important to keep in mind, because it can determine the quality of your sleep. Before you go shopping, figure out how thick your current mattress is. If you like that thickness, look for one of about the same thickness. If not, opt for something a little bit different. In general, thicker mattresses are plusher. Thinner mattresses will be firmer, because you have less material to sink into. There’s no right or wrong answer. It simply depends on your personal preference.If you don’t know what thickness you like the best, go for something in the middle. This should give you a good balance between thick and thin. Naturally, some mattresses will be firmer and others will be plusher. Which one you choose depends on which one you like best. When people choose firm mattresses, they will be getting a more supportive sleep surface. Plush mattresses can be more comfortable for users and cradle them. When in doubt, go for a medium firmness mattress. This way you can have the best of both worlds! Some mattress companies will give you a trial period. This isn’t available with all manufacturers, but it’s a nice option to have. Basically, you will get to try a mattress for a given amount of time. After that point, you can choose whether or not to keep the mattress. This is a pretty effective way to make a final decision. Of course, you may not feel the need to test out a mattress so this may not be a deciding factor for you personally. As you narrow your mattress search, it can be helpful to get an idea of what some of the best mattresses are. Keep in mind that these are our favorite luxury mattresses based on our priorities. It’s important to find the mattress that meets the needs of you and your partner! All of the mattresses on this list will give you a great night’s sleep. You don’t have to worry about that! Just be on the lookout for the factors that are most important to you, such as price or firmness. The Amerisleep AS3 is one of our favorite luxury mattresses for several reasons. It’s 12 inches thick, which is very comfortable for most users. It’s somewhat firm and supportive as well. The material is Bio-Pur memory foam, Affinity, and Bio-Core support. The cover of the mattress is infused with Celliant, which is helpful in keeping users asleep longer. It’s on the more affordable end as far as luxury mattresses are priced. This goes to show that a lower price doesn’t necessarily equal a compromise on quality! It’s available in all standard sizes from twin to California king. This versatile mattress can be used with a standard bedframe or with an adjustable foundation. This mattress was designed with your comfort in mind. 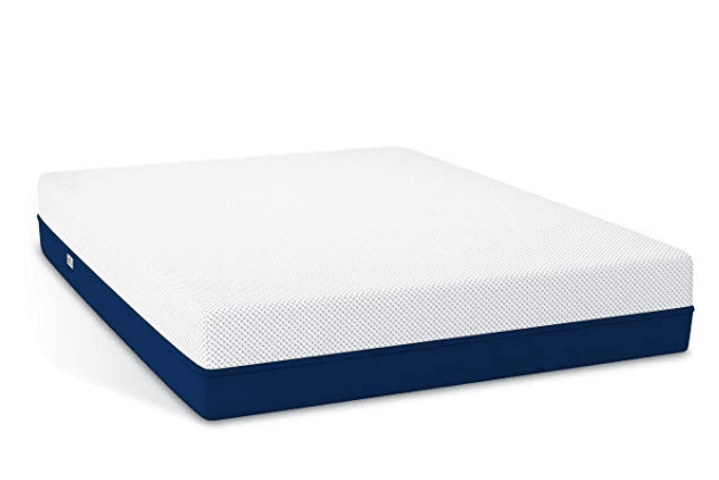 Many users have found it to be one of the most comfortable mattresses they’ve slept on! 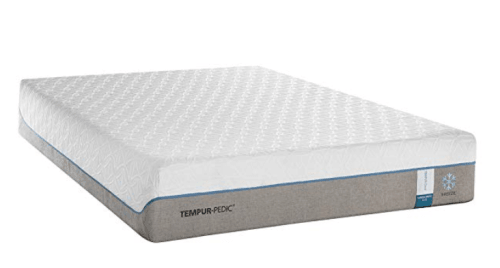 The Tempur-Pedic TEMPUR-Cloud Mattress is as amazing as it sounds! It comes in several different styles, including Prima, Supreme, Luxe Breeze, Supreme Breeze, and Loft. Our favorite is the Supreme Breeze. It’s a thick and soft mattress, which equals 11.8 inches. Overall, the mattress is very soft and comfortable. It’s sturdy enough that you shouldn’t sink, but some users might find it to be too cushiony. The fabric on the exterior of the mattress is designed for comfort, keeping you nice and cool throughout the night. The base of the mattress is responsible for leading the heat from the mattress. Some users have found that it keeps them too warm at night though, so keep that in mind. As with most mattresses, this one can be purchased in any size from twin to California king. It’s nice to have all of these options. One downside is that this mattress is a little bit more expensive than other luxury mattresses. It’s still affordable, but it won’t be possible for every budget. 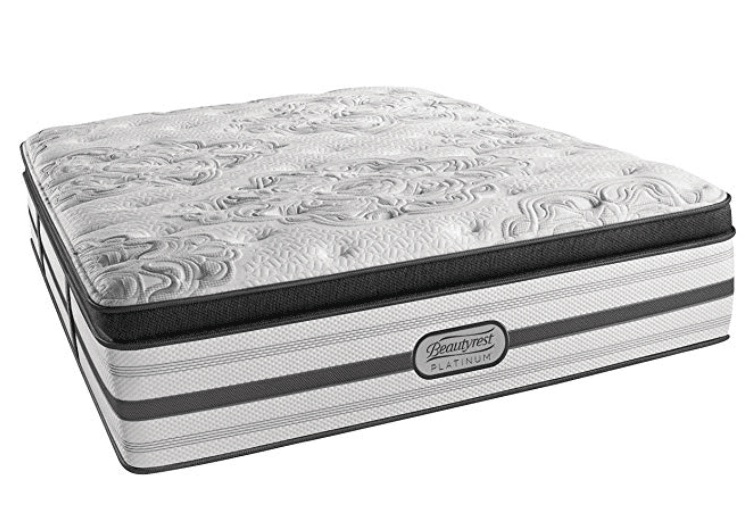 The Beautyrest Platinum Luxury Firm Pillow Top Montego Mattress is another great option if you’re looking for a luxury mattress. 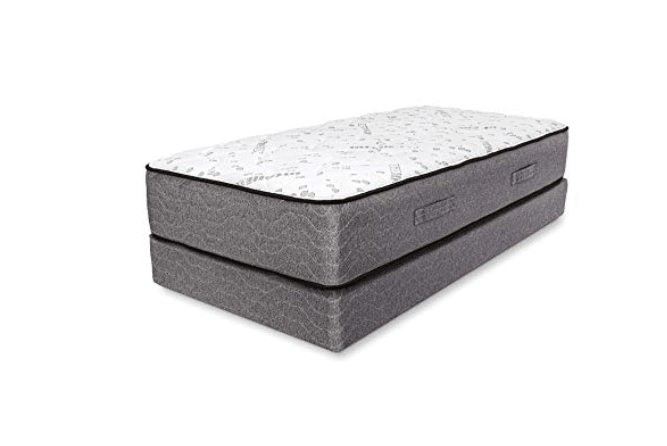 The layers are made up of GelTouch Foam, Surface CoolPlus Fiber, AirCool Max Memory Foam, and AirCool Gel Memory Foam. It also has coil technology designed to prevent nighttime disturbance. It has a fairly plush feel that still provides a good amount of support. According to Beautyrest, you don’t even need to break the new bed in for it to be comfortable! The price is around average for the luxury mattresses that made this list. This is a good mid-range option. You’ll find that it comes in several sizes and styles too. There’s a variety of different firm options to choose from. This can make it tricky to find the one that works best for you though. It comes complete with a 10-year warranty too! 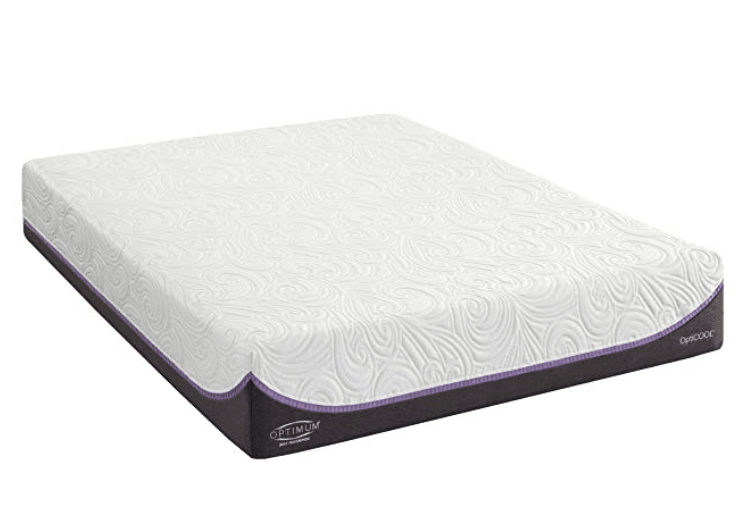 This mattress is a great choice for anyone on a budget who still wants a luxury mattress. It’s 12 inches thick, which provides you with comfort and support. The mattress is made up of memory foam and OptiCore. It’s also infused with Isofresh, which keeps odors away. Unfortunately, the mattress isn’t a hit with all users. Some have reported that it’s too plush while others have found it to be too firm. This depends on personal preference though. It’s pretty affordable, especially considering luxury mattress pricing. For the price, it’s durable as well. You have several sizing options with this mattress, so it can work with almost any bed. With this mattress, you get a 10-year warranty, which can give you the peace of mind that you need. This mattress is the last on the list, but it’s definitely still a great one! As the name suggests, it works to help with your posture. More importantly, it relieves any aching pressure points, thanks to its gel material. The bed has a nice blend of plush and firm support, which makes it perfect for people with either preference. The link will take you to the full size option, but it is available in other sizes. The price is a bit steep compared to some of your other luxury mattress options. It’s worth the cost, but it’s important to look at several mattresses and their prices before making a final decision. The warranty information is not published, so it might be limited or nonexistent. It can sink when you shift, which can be annoying if you share a bed with a partner. Luxury mattresses can be a great upgrade. When it’s time to buy one, it can be tricky to make a decision. With so many on the market, you can easily become overwhelmed by all of your options. You might not even know where to begin sometimes. Don’t worry though! You can find exactly what you need by looking at review articles and customer reviews. It’s a good idea to use these resources in order to make a more informed decision. You will end up with a better mattress and have the peace of mind that you need. When you’re shopping, make sure that you figure out what’s most important to you in a luxury mattress. You don’t want to settle for a mattress that isn’t truly what you are looking for. We’ve created this list of the five best luxury mattresses to help you out. We know how tricky the mattress-shopping experience can be, so we want to make it easier on you. It can be beneficial to take a look at our top mattress choices so that you can select a great mattress. It’s worth noting that it’s essential for your mattress should meet your needs and wants. Our top luxury mattress picks are some of the best available overall, but you should choose the one that works for you! I have been thinking to upgrade my mattress to a better one since I am getting married next month. Your guide is simply awesome. I personally like the way you have provided the audience luxury mattress reviews as well. Nice work.